steff at play: The Diary of Amos Lee 3 Book Launch! 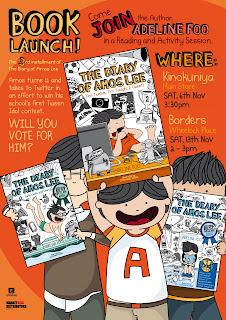 The Diary of Amos Lee 3 Book Launch! The book is at the printers, and looks like we will be able to make it in time. 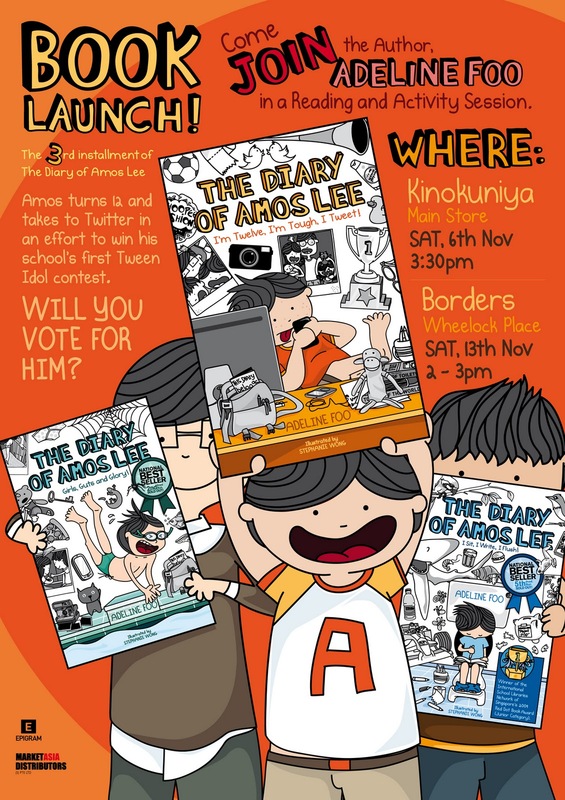 Join us for the book launch of the 3rd installment of The Diary of Amos Lee. I'm Twelve, I'm Tough, I Tweet!. Sat, 13th Nov 2-3pm at Borders, Wheelock. Sat, 20th Nov 3-4pm at Times Bookshop, Plaza Singapore. On a side-note:: Epigram books is on Facebook. Join Us, Like Us, Poke Us. We have books that are not in stores (Meaning, you can't get the books anywhere else), special sale items and the latest news.